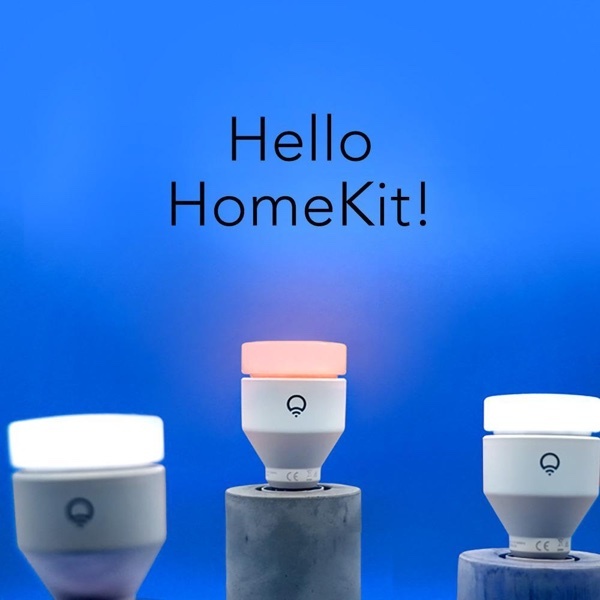 Popular smart light bulb manufacturer LIFX has been promising to add HomeKit support to its bulbs for quite some time now, and with an app update released this morning, some LIFX bulbs are now HomeKit compatible. The 3.8.1 LIFX app update adds HomeKit support for LIFX, LIFX GU10, LIFX Downlight, and LIFX+ bulbs. It's only the third-generation bulbs that work with HomeKit -- original bulbs and LIFX White 800/Color 1000 won't work, nor will the company's LED strips. A firmware update is required to enable support, with the app able to provide a HomeKit code for lights that did not ship with one. From there, the bulbs can be added to a HomeKit setup like any other product. LIFX bulbs are similar to the Philips Hue line of bulbs, offering a range of color and white selections that can be controlled with a smartphone. LIFX bulbs do not require a hub and are controlled over Wi-Fi. Pricing on LIFX bulbs starts at $59.99, but multiple bulbs can be purchased for a discount. LIFX bulbs can be bought from the LIFX website. So being an early adopter, I’m out of luck - despite the fact that there are no hardware limitations. Congratulations LIFX, you’ve done an Apple. There may be hope for older devices.